list of all of our past clients! 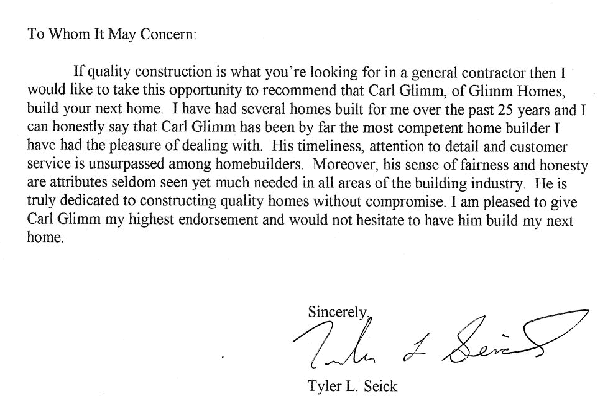 really showed throughout the process making our dream home exceed even our high expectations. I would recommend Glimm Homes for any custom project and look forward to many years to come in our home!